Look Fabulous with our inovative range of hair extensions. Wearing perfectly blended hair extensions is no longer exclusive to celebrities. 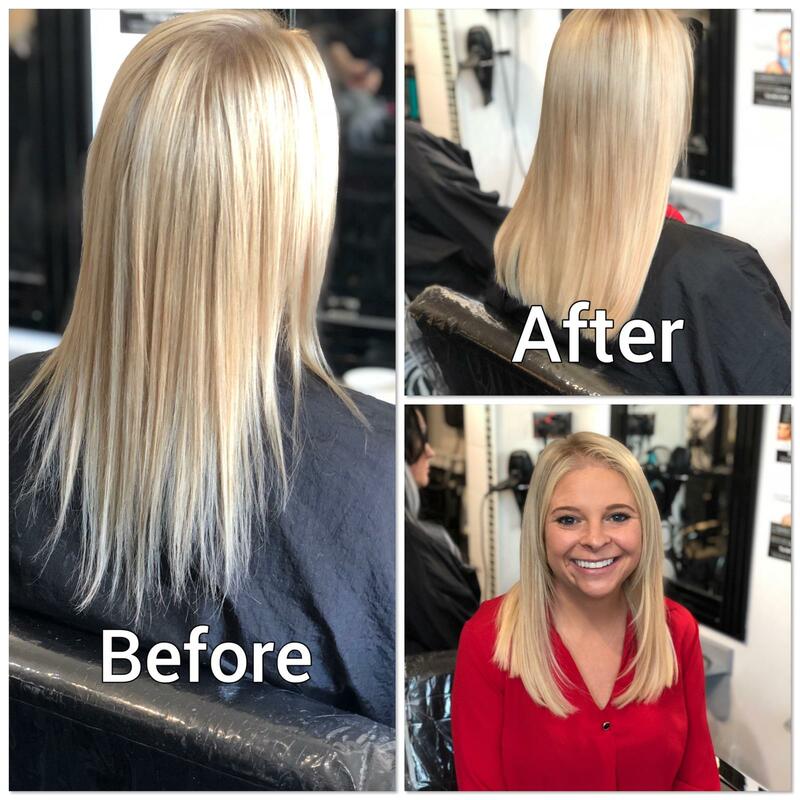 The various attachment methods; keratin bond or a medical grade adhesive tape ensures the client’s extensions are comfortable and long lasting. Fancy a flash of colour? Our single extensions will give you that funky look you want for up to 3 months! No colour fade and real human hair so you can style as usual. Tape extensions are the newest type of hair extension on the market. They have revolutionised the industry due to their shorter application time of just over an hour and even celebrities are now using them. Tape extensions are 100% Remy hair and require no tools or chemicals to apply. They are thin wefts that are applied by ‘sandwiching’ the client’s hair between two tape wefts. They last 2 months before they are removed, re-taped and re-applied. The hair has longevity, and if well maintained, can last for 6-8 months. It is also available in a range of colours. Fusion keratin hair extensions will give you a free fall natural effect. Keratin is a natural protein found in your hair and nails, therefore the bonds are softer and less harmful for the hair. We only use 100% real human hair, that way your hair can be styled as usual. You will be able to straighten, curl, blow-dry, crimp and cut them. If you would like to add length and thickness then a full head is recommended. If your hair is below the shoulder then you can go for a half head of extensions to add thickness and just slight length. These are great for a temporary look, you can clip them in and out as you wish and they come in a variety of colours, which we stock to order with just a 2 day wait. As with the longer lasting extensions, you can curl or straighten your hair as normal.